Alocasias are fantastic plants for the garden or home. 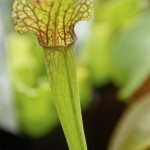 Native to Southeast Asia and Australia, they are used to warm temperatures year round and must be overwintered in pots or dug up and stored as bulbs in a cool, dry place in all but the warmest climates. Regardless of how you grow them, though, fertilizing alocasia plants is essential to their healthy growth. 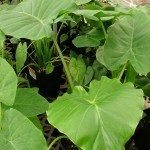 Keep reading to learn about alocasia plant feeding and when to fertilize alocasia. Alocasia plants have the potential to become enormous. If overwintered successfully for multiple years, they can reach 10 feet (3 m.) in height and produce leaves that are 3 feet (0.9 m) long. The key to growing such stunning plants is fertilizer. Alocasias are very heavy feeders, and fertilizing alocasia plants frequently is the only way to keep up with their appetite. Before planting your alocasias, mix 2 pounds of slow release fertilizer per 100 square feet (9.3 square meters) of soil. 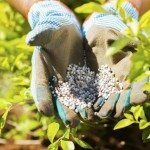 Keep up regular fertilization every two to four weeks. Is feeding alocasias really necessary if you’re growing them indoors? Chances are you want your houseplant somewhere under ten feet tall. The thing about fertilizer, however, is that it isn’t just for rapid growth. Kept in a pot, your alocasia almost certainly won’t reach its full potential size, but it still needs regular fertilization, perhaps even more so. Because of the small amount of soil in a container, nutrients can be washed away more easily. With every watering, add a little water soluble fertilizer to keep your alocasia plants growing healthy and strong. If your alocasia’s leaves start to appear burnt, however, it probably means you’re applying too much fertilizer. Flush the container with plenty of clean water until it runs out of the drainage holes and cut back on your fertilizing regimen.